Learn more about our Spring Registration Incentive by clicking here! 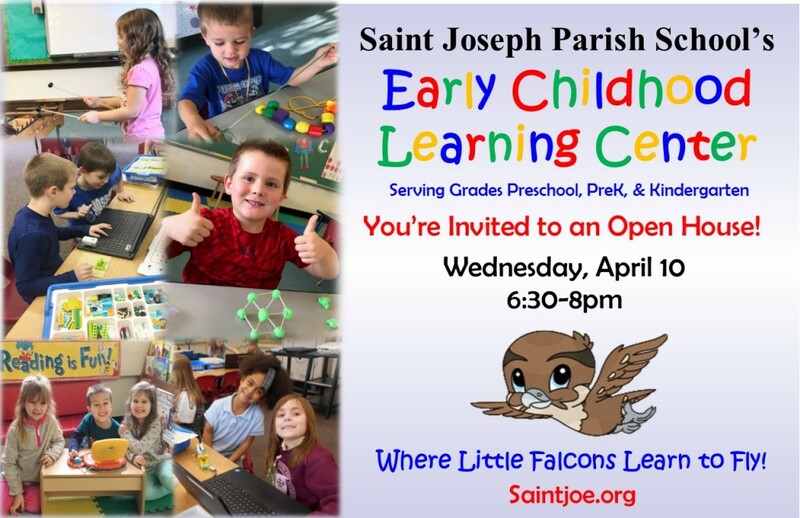 Thank you for your interest in learning more about Saint Joseph Parish School and it's Early Childhood Learning Center. Below, mark the events you are interested in attending. Please ensure to include your contact info so a reminder can be sent to you 24 hours before the event. If you are attending any of the events listed above, please complete the following fields, so we can prepare for your visit.